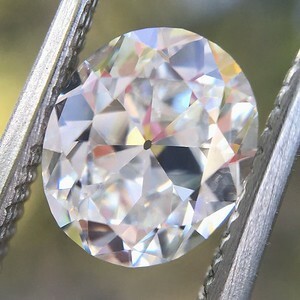 Chubby and bubbly, that's what she is! 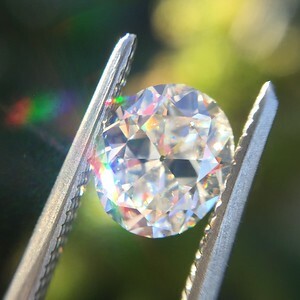 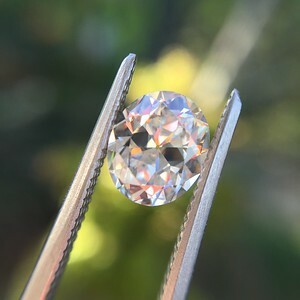 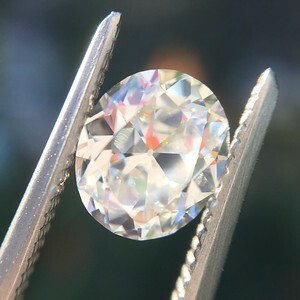 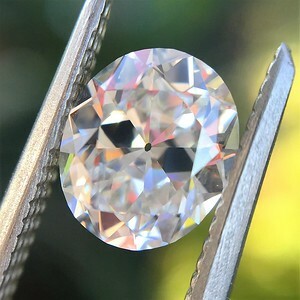 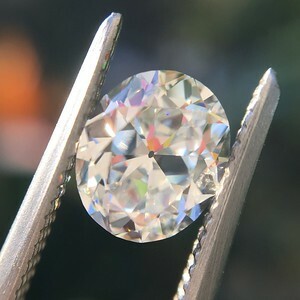 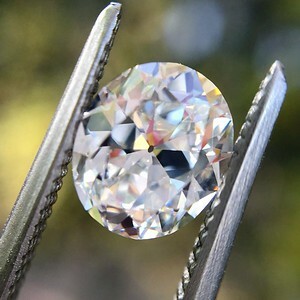 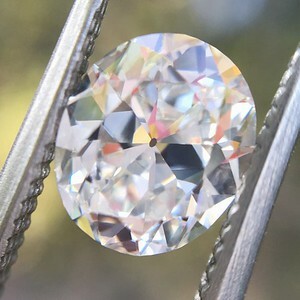 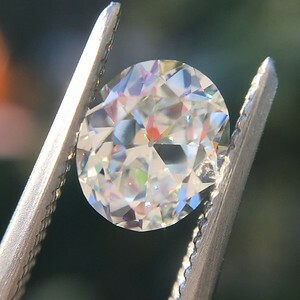 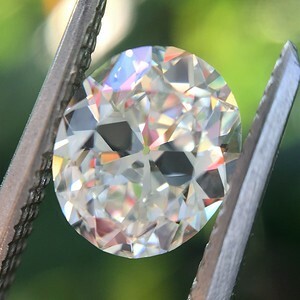 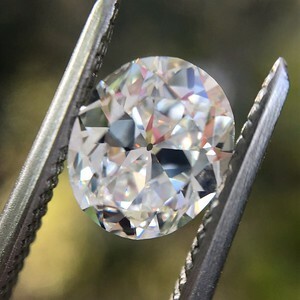 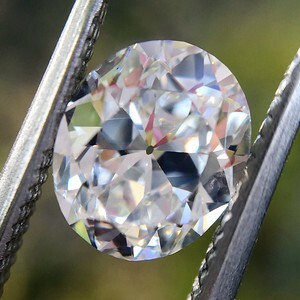 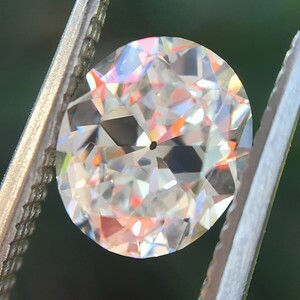 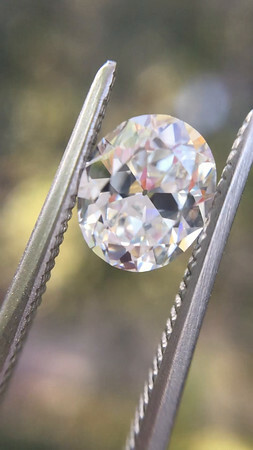 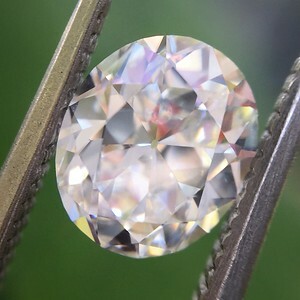 I am totally enamored by this antique oval cut diamond, with its chunky faceting, and its fire and life. 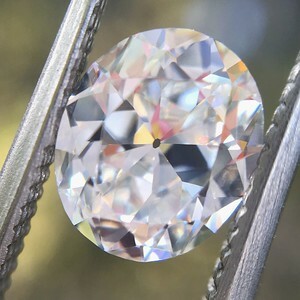 But my favorite part about this diamond is shape! 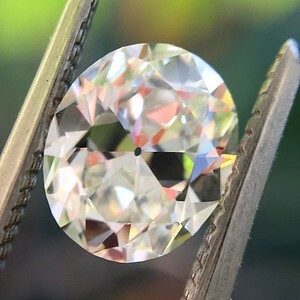 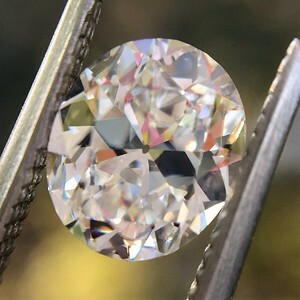 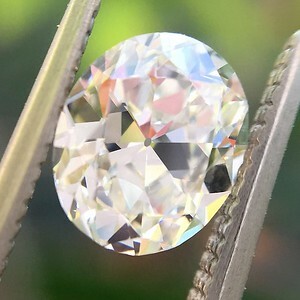 But let us not forget about the medium blue fluorescence too - its already a very white facing diamond, but the flouro gives it this gorgeous glow. 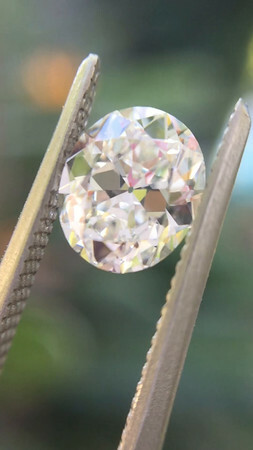 She would be stunning any way she's set!